Here is a guide on how to manually download PUBG Mobile 0.5.0 APK file directly to your Android smartphone. 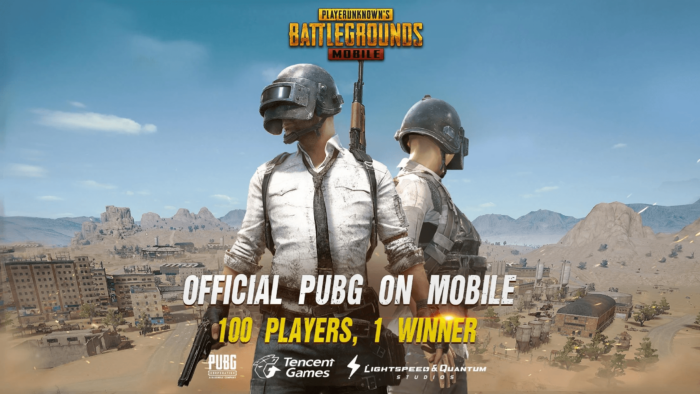 Since the launch of PUBG Mobile, it has been a booming success, with users playing it across the globe. However, also since its launch, the battle royal style online game is receiving its first major update on Android. This new update features some fundamental new changes such as a new map to play on, better performance and improved connection speeds. You can download the new PUBG Mobile 0.5.0 APK from right ahead. Discussing as to what’s new in this version, the game is getting new weapons, progress missions and whole new region system. The biggest addition is the Miramar map, featuring a deserted, wild-west like environment. This map has already been released on other major platforms such as PC and Xbox but only now the smartphone gamers can experience it from the comfort of their Android smartphones. In Arcade mode, a “Sniper Support” is added along with the new fog mechanics. PUBG is the most played battle royale style game on the Android mobile platform. The good thing is, developers behind it are not making gamers frustrated by letting them play same thing again and again but instead they want smartphone gamers to have a similar experience to that of PC gaming. Further, if you update before the 23rd of May, you’ll receive 2x EXP Card, 1-Day, 2x BP Cardm 1-day, Outfit Box III (7d) and 1,888 BP. Installing the PUBG Mobile 0.5.0 APK file very easy. Just follow the guide we have provided with simple steps. Step 3 – If you are installing an APK directly for the very first time, you would be notified to enable “Unknown Source” setting. If not sure about this, we have written a tutorial. See link below on where to find this setting. That’s it! You can now have PUBG Mobile 0.5.0 installed on your Android device. Note: You will also need to install the additional 1.2GB of data from the Google Play Store. All you have to do is launch the game and it will start the downloading the data automatically. Do tell us your experience of playing in the new map with new weapons by dropping a comment below. If this instructions / guide was not clear enough or you are stuck somewhere, you can read our complete guide on how to install APK files on your Android device here: How to Install Android APK Files Manually.